Still, the bulk of the questions I receive on my Instagram page are about my skin care routine. 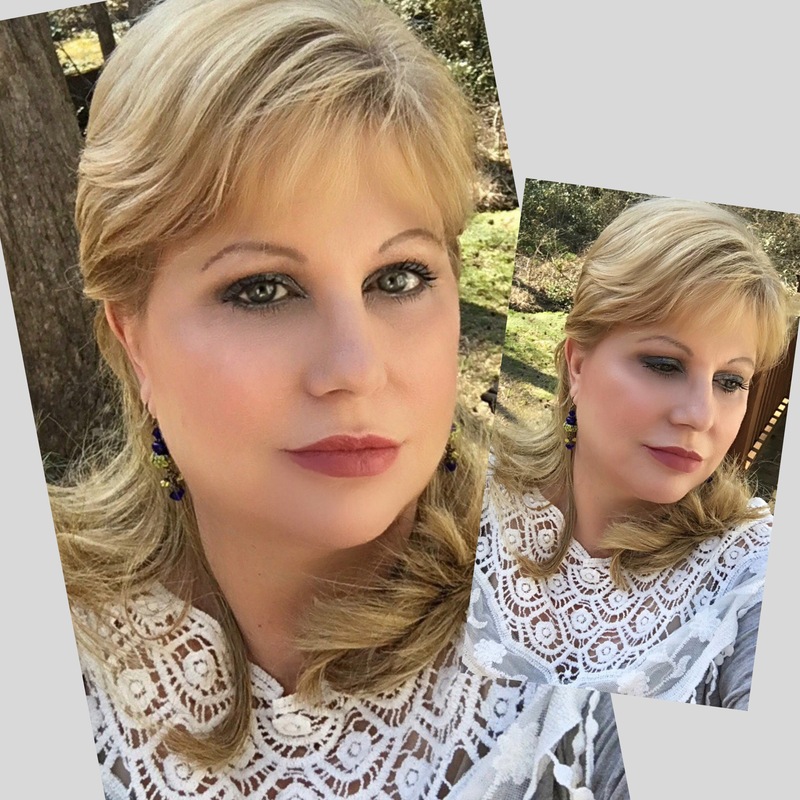 Some people say I look younger than my age (56) and I believe it’s a combination of genetics, diligent skin care and my facial features (round eyes, full lips, smallish nose). Of course, those are the same features that annoyed me when I was young because I always looked like the girl next door, never a sultry siren. I remove my eye makeup and do an initial cleansing pass with a couple of cotton pads soaked in micellar water. Next, I wash my face thoroughly with the appropriate cleanser. I use a lighter cleanser when I have no makeup on and a heavier balm cleanser when I do. If I’m in the mood and have time, I use a targeted mask: moisturizing, exfoliating, anti-aging or brightening. Next, I use an acid toner followed by a soothing toner. This prepares my skin to get the most benefit from the final steps. Heading into the home stretch, I use my holy grail product, which is Sunday Riley’s Night Sleeping Oil. After allowing Luna to fully absorb, I apply my moisturizer. If I didn’t use a mask earlier in my routine, I often slather on one that’s intended for use while sleeping. Lastly, I use an eyelash-growth serum. It sounds like a lot, right? It really isn’t. I have it down to a science and can complete the entire process — in addition to brushing my teeth — in about five minutes. I find it relaxing and soothing and have become oddly superstitious about it. I can’t go to bed without doing it! Why? Because the best makeup in the world can’t hide skin-care sins. I’ve said this before and I’ll say it again: Makeup does its best work if it’s applied to a clear, smooth, even canvas. If you’ve been unkind to your skin, do the right thing by adopting a routine right away. Your face will thank you for it. Start by slathering your lips with an exfoliator. I prefer Tarte’s Maracuja Lip Exfoliant, which is billed as “a powerful resurfacing lip scrub that exfoliates lips then provides instant hydration—quenching lips with no greasy or filmy feel.” It features rough, sweet sugar granules that remove roughness and flakes and has a pleasant, slightly minty taste. If you have stubborn flakes, let your exfoliant soak into your lips for a few minutes before using a clean toothbrush or cotton bud to gently slough them off. Apply a rich, creamy balm designed to provide extra hydration and softness. I swear by Best Damn Beauty’s version, the Best Damn Lip Mask. It’s packed with soothing and anti-aging ingredients, including organic agave nectar, jojoba oil, vanilla CO2 extract and resveratrol. I wear it overnight and also let it absorb into my lips while I apply my facial makeup (my lipstick application comes last in my routine). Apply your favorite lip product. Remember that bright and dark colors can make lips look smaller. If you have thin lips, it’s best to stick with lighter shades that give the illusion of a fuller pout. Matte lipsticks can also make lips look smaller; if you have small lips use a glossier formula or add lip gloss to make them look larger. Matte lipsticks can also accentuate lip lines, so choose a more moisturizing lip product if that’s an issue for you. Remember: Taking care of your lips is a critical part of your beauty routine. 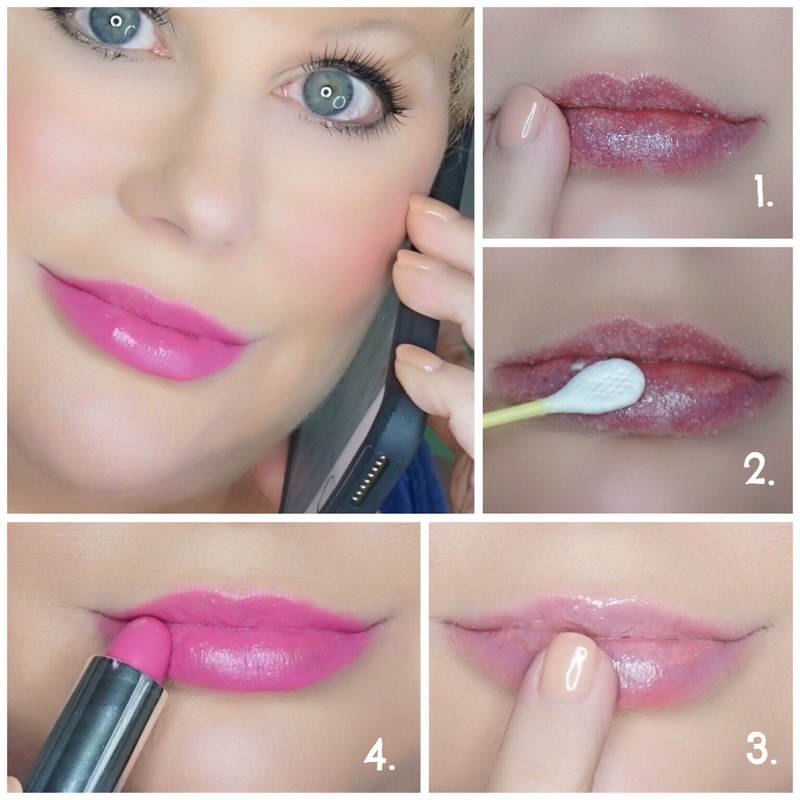 By following these four steps, you can ensure that your lips are plump, luscious and, mmmm, kissable. I didn’t plan to blog today, but after a glance in the mirror prompted a “Dang, your skin looks good, girl!” reaction, it seemed a first impression review was in order. I popped into Sephora a few days ago to pick up sunscreen for this weekend’s sailing to the Bahamas — a girls’ trip with my mother, sister and daughter. Well, we all know that leaving Sephora with only intentional purchases is practically impossible. I walked out with a new foundation (I’m on a constant search for the latest and greatest). 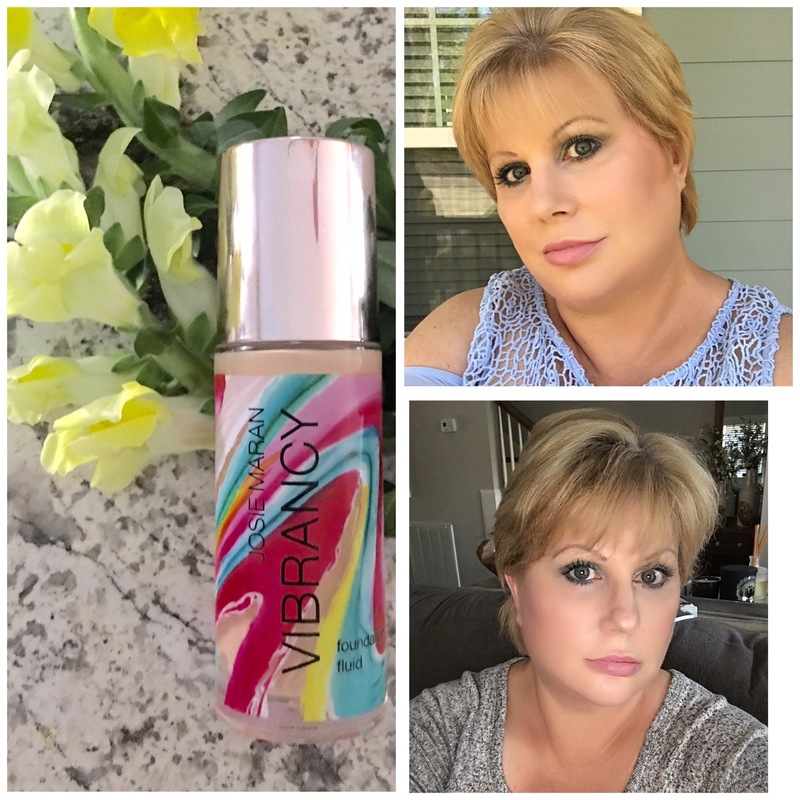 The foundation that called out to me was Josie Maran’s new Vibrancy foundation. My shade is called “Euphoric,” or light neutral. What’s different about it? It’s a medium- to full-coverage buildable foundation powered by 100 percent pure Argan oil. I’d never tried a Josie Maran foundation, but I’m pleased so far. After wearing it for three days, I can say it goes on smoothly and provides a nice, healthy-glow finish. My skin is combination and it doesn’t slide over into “greasy glow” for me, but oily girls (and guys) might have a different experience. What I found most pleasing about Vibrancy is the way it settles into my skin as the day goes on. The finish looks lovely right after the product is applied but becomes more dewy and, yes, vibrant as the hours pass. In fact, it looks better after a few hours. I haven’t found the need to powder and the only fading I get is at the corners of my nose, which is standard for me. I checked the reviews on Sephora and Vibrancy currently has four stars. The most common complaint is that it clings to dry spots, which seems odd for a foundation containing Argan oil. 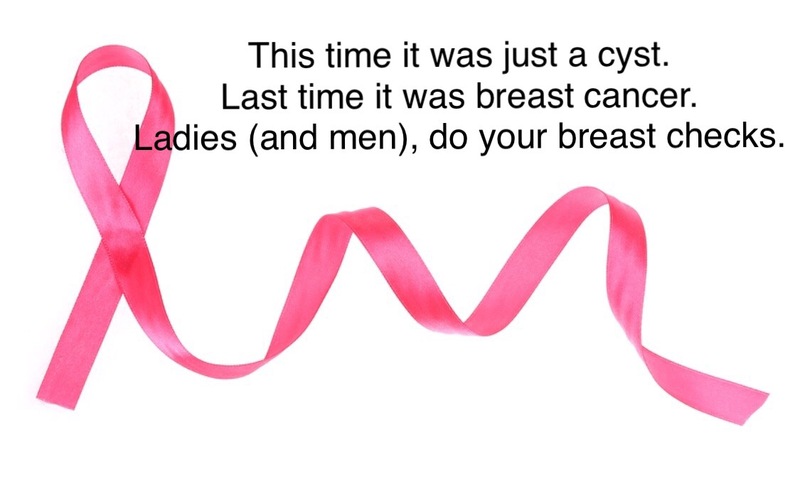 I personally have not experienced this issue, but I did notice some streakiness upon application. I’ve overcome the issue by applying the foundation with my Artis Oval 8 brush, then pressing it into my skin with a Beauty Blender. Josie Maran Vibrancy Foundation is available in 14 shades, $45, Sephora or josiemarancosmetics.com. When it comes to makeup, many women have what they describe as a “go-to look.” That’s well and good, as long as that go-to look isn’t stale or boring. 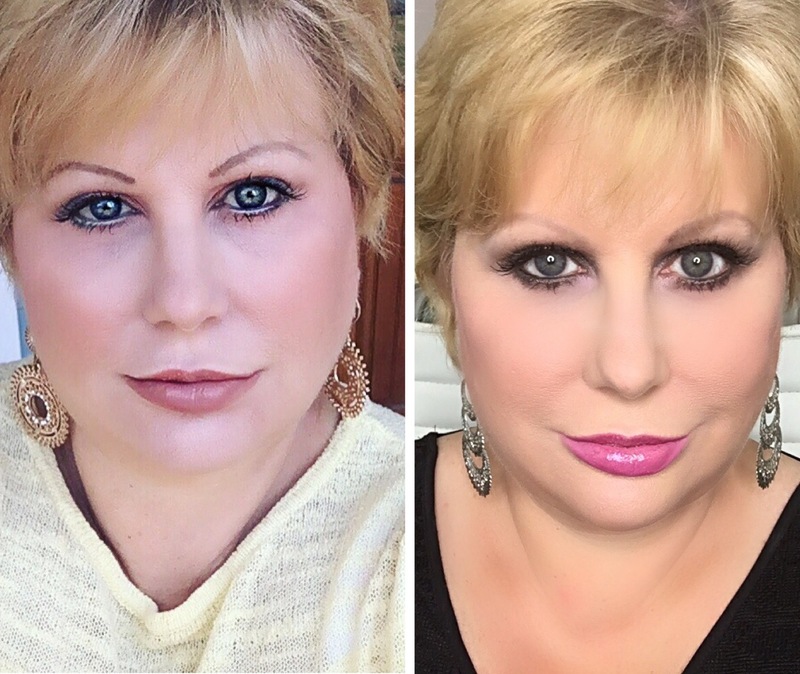 I’ve always been a makeup dabbler, and that’s why one-size-fits-all products such as “Boom” by Cindy Joseph aren’t for me. Never heard of Cindy? She’s a former model who hit the marketing bonanza with older women. Her “Boomsticks” are sheer washes of color that are supposed to adjust to any skin tone, which is kind of like the makeup equivalent of a Mood Ring. If that’s something that interests you, be sure to check out the third-party reviews on MakeupAlley.com before buying, as opinions are decidedly mixed: Reviewers seem to love Boomsticks or hate them, with little in between. In any case, if you decide to buy, remember that you’re not married to her products — you can (and should) keep things interesting by trying other looks from time to time, lest things get boring. The bottom line is that makeup isn’t permanent. It’s like playing with paints, using your face as a canvas. I see it as a manifestation of the different sides of my personality — the yin and the yang, the light and the dark, the good girl and the minx. And when it comes down to it, I’d rather be described as a little bad than a little boring. I’m off to the Bahamas in less than a week, so I’m doing all the things one must do to prepare for fun in the sun. Tomorrow is set aside for a manicure, pedicure and waxing (Brazilian –ouch!). Then comes self-tanning: I’m super pale, so I don’t want to blind anyone on the beach. One of my beach must-haves is a heavy duty moisturizer. I’m prone to dry skin, so moisturizer is one of my best friends. My cabinet is stocked with them, each smelling better than the last. This brings me to my point: While it’s not strictly a moisturizer, I’m completely addicted to a new moisturizing product — Brazilian Bum-Bum Cream by Sol de Janeiro. As I mentioned, Brazilian Bum-Bum cream works as a quickly absorbed, luxurious moisturizer that leaves skin silky with a slight sheen. But it serves another purpose: It’s a skin tightener for — yes — the Bum-Bum. And, of course, other body areas that could use firming. Many Brazilian creams have a secret ingredient: guaraná, a native Amazonian plant whose fruit contains one of the most potent forms of caffeine on the planet. Brazilian Bum Bum Cream is also powered by a Brazilian blend of extraordinarily nourishing cupuaçu butter, antioxidant powerhouse açaí, and super-conditioning coconut oil for irresistible, touch-me skin. The fast-absorbing texture contains just enough mica to add a perfect Brazilian glow, as the formula helps your body look and feel its smoothest and tightest. 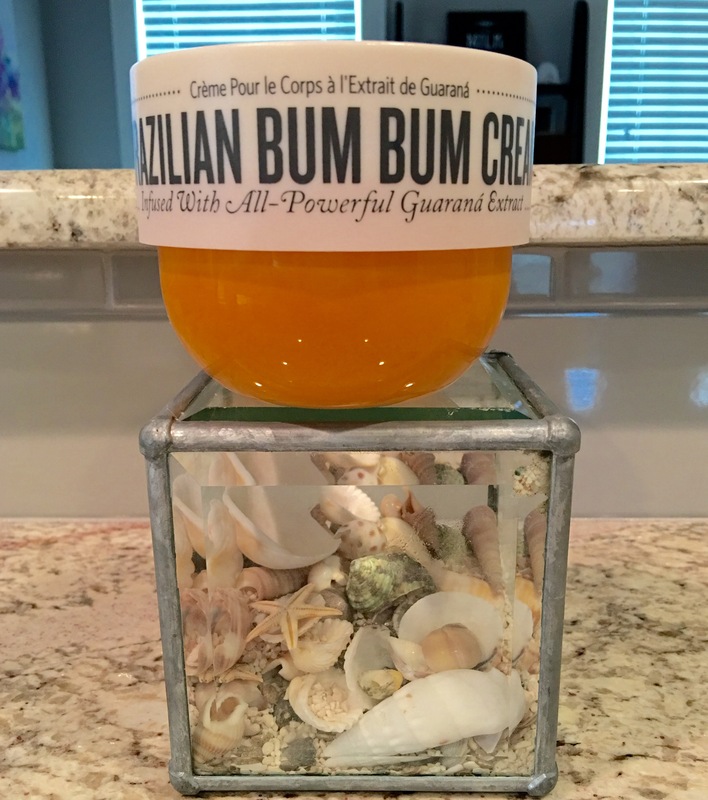 My summation: Whether you’re headed off for a beach vacation or just dreaming of one, Brazilian Bum-Bum Cream is a must-have for all of your body parts in need of pampering. Brazilian Bum-Bum Cream by Sol de Janeiro, $45 for 8.1 ounces, Sephora. I’m fascinated by makeup and always have been. As a little girl, I was entranced by my mother’s cosmetics — especially the miniature Avon lipstick samples that lived in her makeup drawer. And my Aunt Emily was a wonder. I’d watch as she drew winged liner as sharp as a knife’s blade with her old-fashioned cake liner. She’d add a bit of water to the powder and a few minutes later she was the epitome of 60s glamor. In the years since, I’ve learned that while makeup works miracles, it’s the skin beneath that’s most important. Skin is the palette and makeup is the paint — and it’s critical to keep the palette as smooth, supple and line-free as possible. After all, paint applied to a rough surface often just illuminates its flaws. My skin isn’t perfect, but it’s in pretty darn good shape for my age. Why? Because I pamper it. I have a thorough skin-care routine and I stick to it every day without fail. Right now, my skin is looking particularly peachy and I credit the skin-care supplements I recently added to my routine. Every day, I consume two tablets of Youtheory hyaluronic acid and four capsules of Hum Arctic Repair. Hyaluronic acid is an anti-inflammatory that benefits joints, tendons, ligaments and skin. Arctic Repair contains oil from wild organic lingonberry seeds and promotes itself as “clinically proven to rejuvenate the skin.” All I can say is that after two months of regular use my skin is clear, smooth and even. I look better without makeup than I have in years. I’m particularly impressed with the Hum brand. In addition to Arctic Repair, I’ve been successfully using the company’s Flatter Me, which supports healthy digestion. 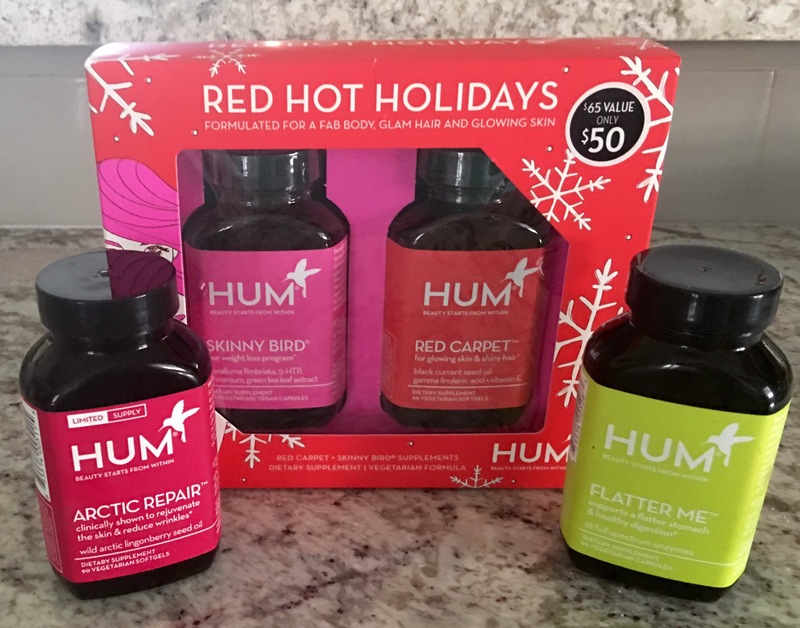 I’m about to try two new Hum products — Red Carpet Ready, which promotes glowing skin and healthy hair, and Skinny Bird, which purports to help with weight loss. I’ll share my thoughts on those after a month of use. Youtheory Hyaluronic Acid Advanced Nutritional Supplement, 120 count, $19.50 at Amazon.com. Hum products are available at Sephora.com. Brass is great if you’re listening to a band. But the last thing those of us with blonde or gray hair like to see is garish brass tones. I recently went from platinum to deep red to golden blonde. I’d initially planned to go all the way back to platinum, but an old friend convinced me to try golden hair because she’d liked it on me years ago. Verdict: I tried it, I liked it, I’m keeping it. The problem is that despite several bleachings, the remnants of dark red dye want to seep through after a few washings. Plus, I have a tendency toward red because it runs in the family. Both of my children are natural redheads. My daughter has golden red locks, while my son’s tresses are deep auburn — legacies, I suppose, of our Irish heritage. I’ve found that combatting brassiness requires a two-step approach. First, I must wash my hair in cool-verging-on-cold water. Second, I regularly use a purple-toned shampoo. I have two in my shower right now, one that works and one that doesn’t. The product I won’t repurchase is Dumb Blond Purple Toning Shampoo, which fails on two key fronts (or three if you count its name). It doesn’t completely keep my hair from turning brassy and it’s pretty drying — not a good thing when hair has been bleached. The the product that works well is Sterling Silver Colour Care Toning Shampoo from AG Hair Care. It’s formulated to eliminate brassy, yellow tones from blonde and silver hair. I use it three or four times per week to keep breakthrough brassiness at bay. AG Hair Care Sterling Silver Colour Care Toning Shampoo, $18 for 10 ounces, $45 for 33.8 ounces at Ulta. Happy Thursday my lovelies! Today, this blog is nothing but a little networking post. So go ahead, drop your blog links below! Then go check out each other’s blogs. Feel free to follow those people, like a post, etc. Go ahead and click the “reblog” button as well so you can do a little networking on your blog as well! 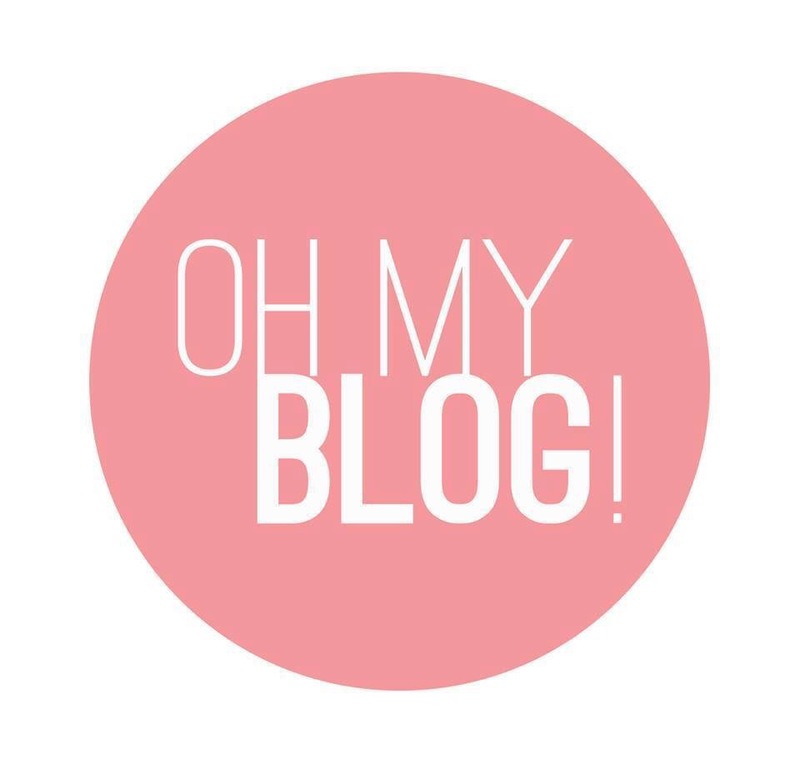 Look forward to checking out you guys’ blogs! As someone who follows dozens of incredible makeup artists on Instagram, I’m consistently surprised and delighted by their creativity. While most of the uploaded eye-makeup looks are eminently wearable, others veer toward art. I’ve seen lids adorned with cats, cupcakes, animal prints, holiday scenes and even landscapes. The lesson? Sometimes it’s worth letting your heart guide your hand when deciding on a makeup look. I’m going to try to find more inspiration in my favorite artwork and music — although, of course, my eyelids will not be adorned with literal interpretations! 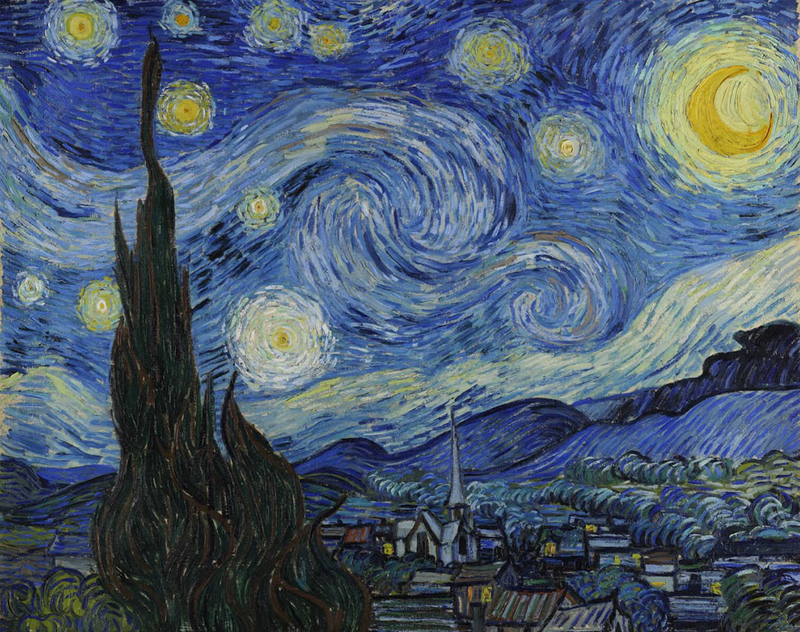 Listen to Starry, Starry Night.